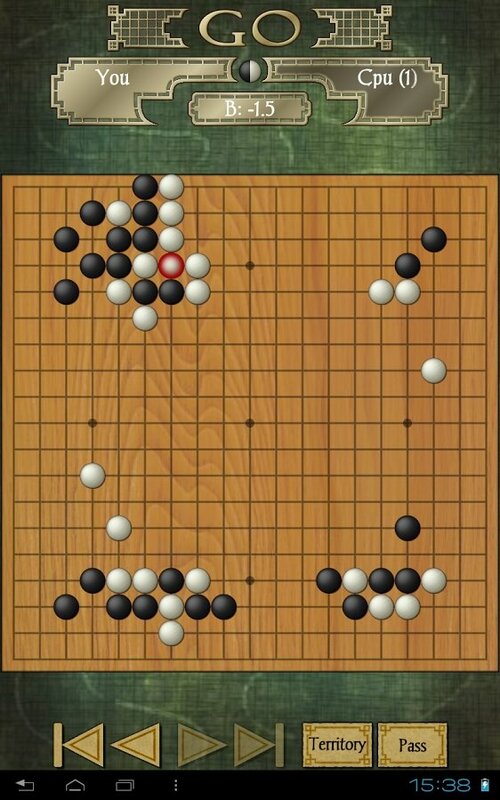 Go for Android is the application that lets you play this strategy game originally from China and known by different names in the most Eastern regions of Asia. 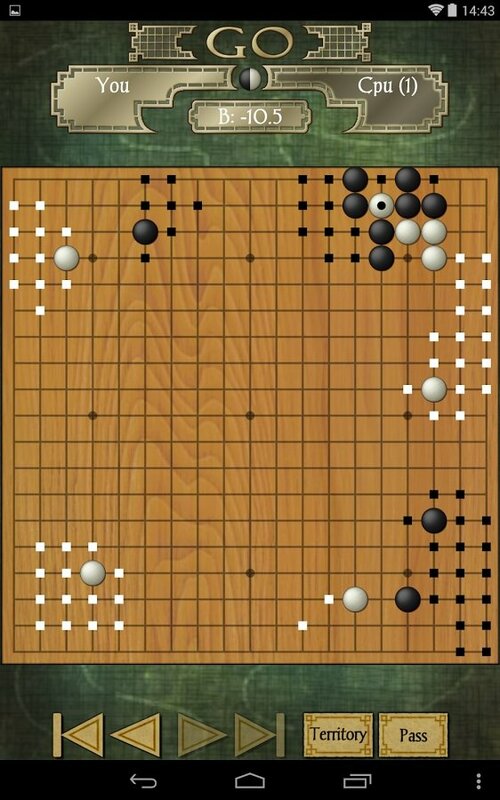 Despite its simple objective, in which you have to capture your opponent's stones and take control of a larger portion of the board than your rival, it is very rich in strategy and, therefore, ideal to develop your intelligence. 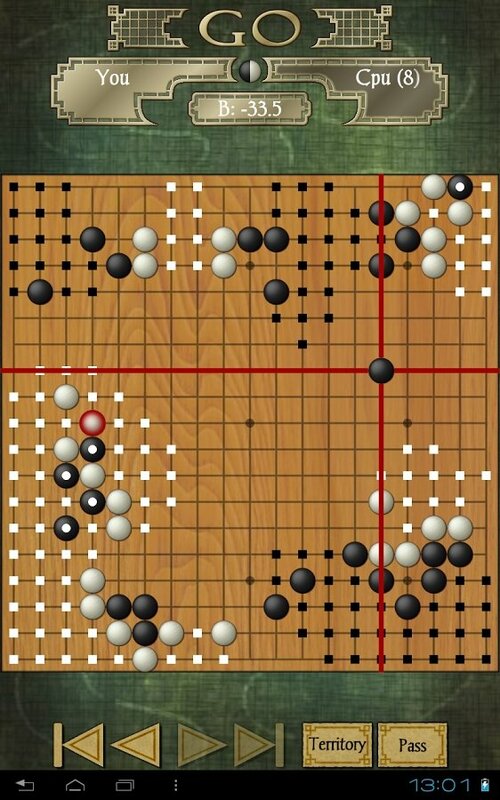 The millenary game that gives you entertaining headaches. 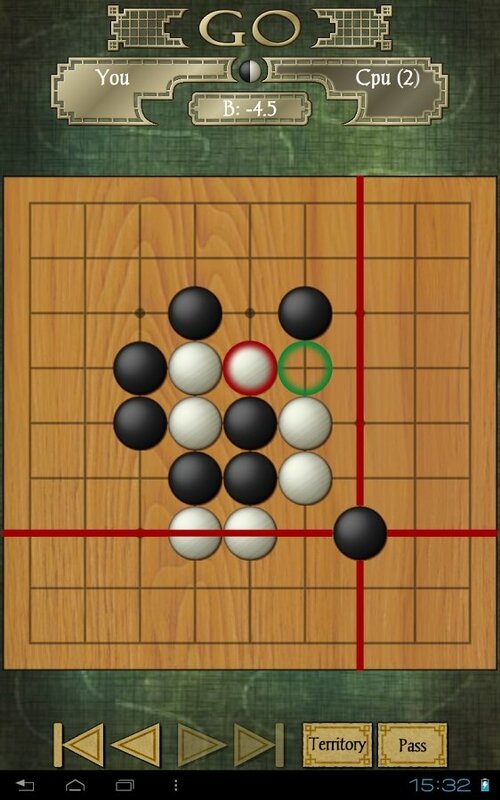 In Go we won't need a real-life opponent to play against, as well can challenge our own phone. For such purpose, it offers us different difficulty levels and different options to play in compliance with our level. 9x9, 13x13 and 19x19 boards. 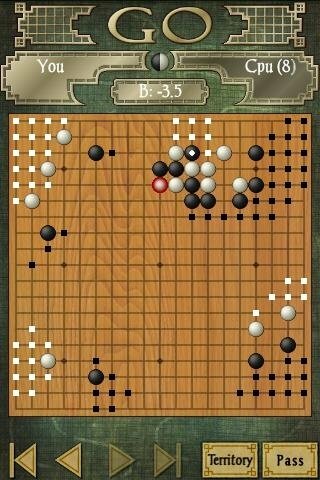 Possibility to choose between white and black stones. 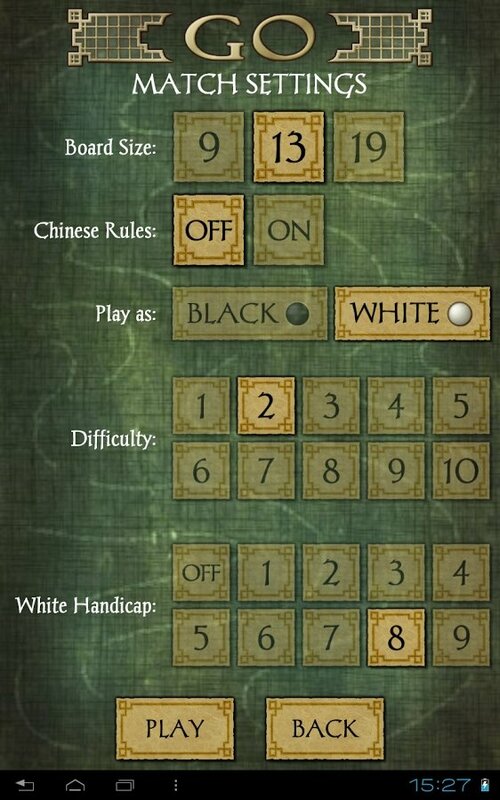 Option to choose Chinese rules. Handicap level for white stones. 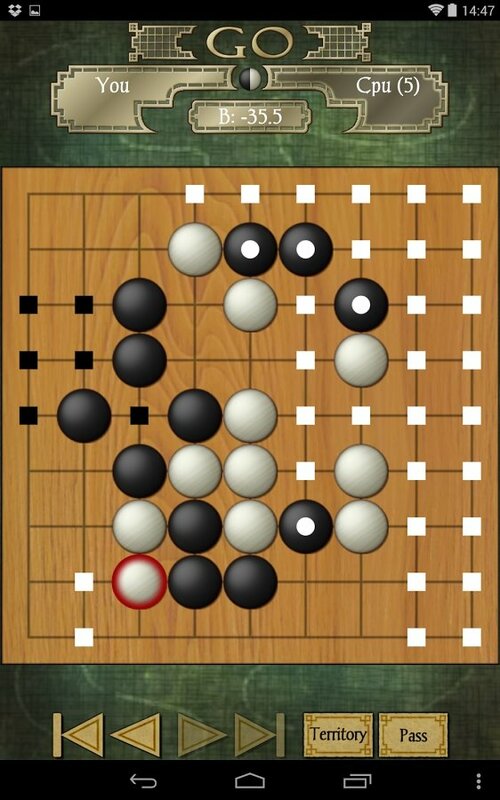 Download Go for Android and have fun with this ancient game that has rejuvenated thanks to Android.